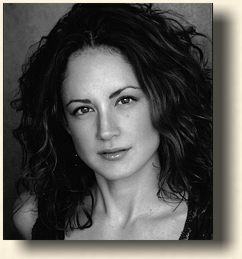 Katie A. Keane's (Mallory Falconer, Climbing Everest) stage credits include: Lady Macbeth in Macbeth, Desdemona in Othello, Venus in Venus and Adonis, Isabella in Measure for Measure (Shakespeare Orange County); Mary Holmes in On the Beach, Hannah Snell in Warrior, Elvira Puccini in The Puccini Project, Athena in Ithaca, Anna Candy in His Majestie, Mr. Kean, Lucy-Lynn in Quack! (California Repertory Company); Louise in Always…Patsy Cline (The Clarence Brown Theatre); Chris Gorman in Rumors (Long Beach Playhouse); Miranda in The Tempest (Grand Canyon Shakespeare); Masha in Three Sisters, Sister Hubert in Nunsense, and Nurse Kelly in Harvey. Her film credits include Hell to Pay (Pittsburgh Pictures), Doing it Right (David Henry Productions), and Straight, Bent and Broken. Katie graduated on the Dean’s List and received her M.F.A. in performance from California State University, Long Beach and currently teaches acting at Chapman University and Fairmont Private School.